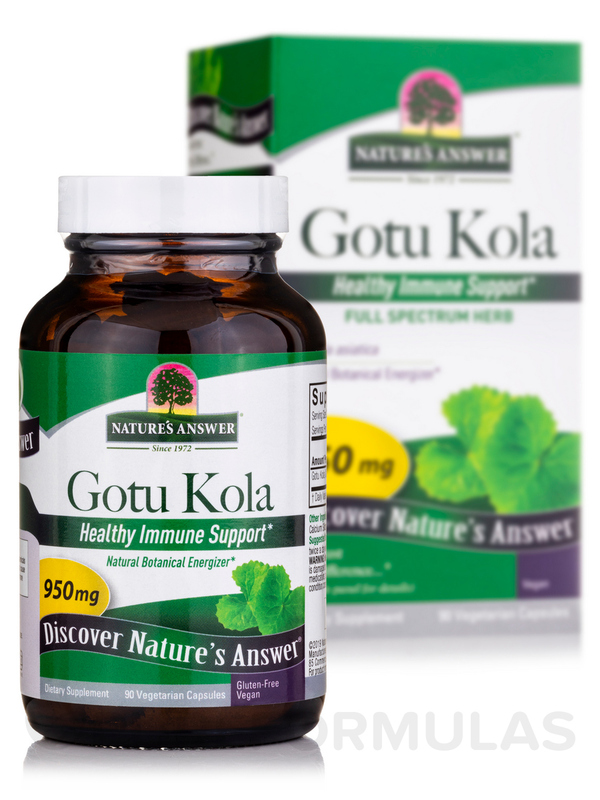 I try to find Gotu Kola Herb by Nature's Answer in nearly every supplement I buy because of the quality. I can only use half of a capsule because this herb is very stimulating. I just pour half into a small amount of water and drink it. Nature's Answer capsules feature the highest quality of organic‚ responsibly wildcrafted or cultivated herbs‚ which maintain the naturally-occurring constituents found in the plant. They are carefully selected and finely milled (micronized)‚ allowing faster absorption by the body; Manufactured to cGMP (current Good Manufacturing Practices) standards. As a dietary supplement take two (2) capsules two times a day‚ preferably with food or water. 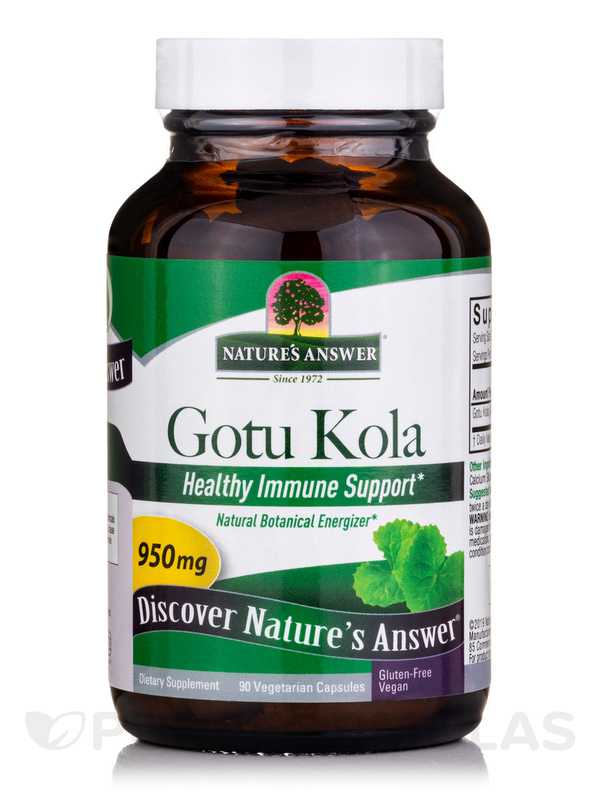 I'd heard about Gotu Kola from a doctor who recommended it for energy, memory, and as a mood booster. 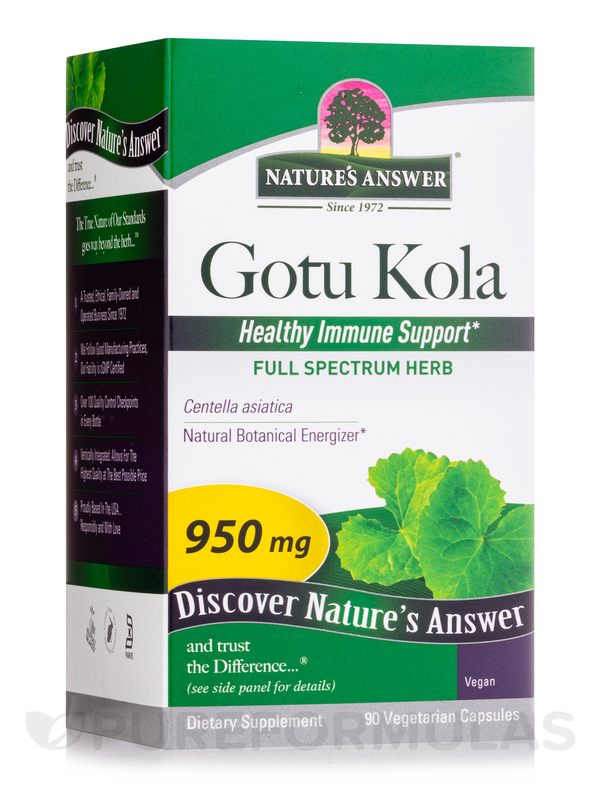 I was excited to try Gotu Kola Herb by Nature's Answer because it is at a price I could afford. Mood, energy, and memory boost at an affordable price. Is The Calcium Silicate In This Supplement The Same As Calcium Aluminum Silicate And Is It Safe.? Hi there Cathyanna! They do not use Calcium aluminium Silicate. However, they use Calcium Silicate as an anti-caking ingredient in capsule manufacturing. It prevents herbal powder ingredients from sticking together while being encapsulated. It helps maintain "free flowing" characteristics of the active herbal ingredients needed to fill capsules or to compress tablets. Calcium silicate is only hazardous if it's inhaled because it is a fine powder and can thereby cause respiratory problems. But as an excipient in capsule/tablet manufacturing it is not dangerous.